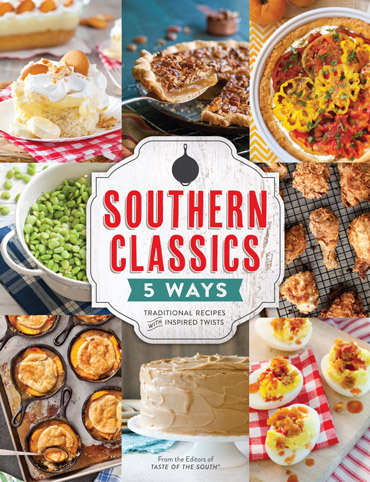 I am excited to introduce to you all our newest book, Southern Classics 5 Ways. This wonderful cookbook is filled with easy-to-follow recipes that will be passed down through the generations. It celebrates the suppers, sides, and desserts you and I grew up with. Plus, it offers delicious new twists on our traditional flavors. Here is a little bit more about the book from the editors, themselves. 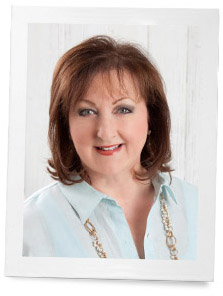 “At Taste of the South magazine, we know good Southern food. For the past 15 years, we’ve been sharing authentic recipes, celebrating the very best that the South has to offer. Thanks to the hardworking team in our test kitchen, we’ve tested and tasted more than 10,000 dishes over the years, each one more delicious than the next. The recipes gracing the pages of this craving-inspired tome are more than just the comfort foods we all grew up with; they’re also dishes inspired by those icons of the Southern culinary canon. Yes, there’s an amazing Caramel Cake—but just wait ‘til you taste the Caramel Cake Trifle. Of course, there’s creamed corn, but my goodness, the Creamed Corn Spoonbread Muffins! And it just gets better from there. One of the most important recipes to have when talking about southern staples is a tried and true corn bread. Chances are, there’s one special way you like your cornbread, which is, of course, the best way to eat it. It’s probably the way your mother or grandmother ate it before you. Cornbread is comfort—a gift of food that is best when shared. So today I’m sharing this marvelous recipe with you! Pour oil into a deep 8-inch cast-iron skillet. Place pan in oven until oil is very hot, about 8 minutes. In a large bowl, whisk together cornmeal, flour, baking powder, and salt. In a medium bowl, whisk together buttermilk, melted butter, and egg. Make a well in center of dry ingredients. Add buttermilk mixture; stir until combined. Carefully pour batter into hot oil. Bake until golden brown and a wooden pick inserted in center comes out clean, about 25 minutes. Pre-order your copy today and receive 20% off with the coupon Code 5WAYS! Cornbread has always been a constant meal companion from my childhood. I never considered not making it when I started my own family. I like how your photo shows it is clearly corn bread and not corn cake. Though I am from the north, my grandmothers were from the south. Strong women who passed on their traditions! 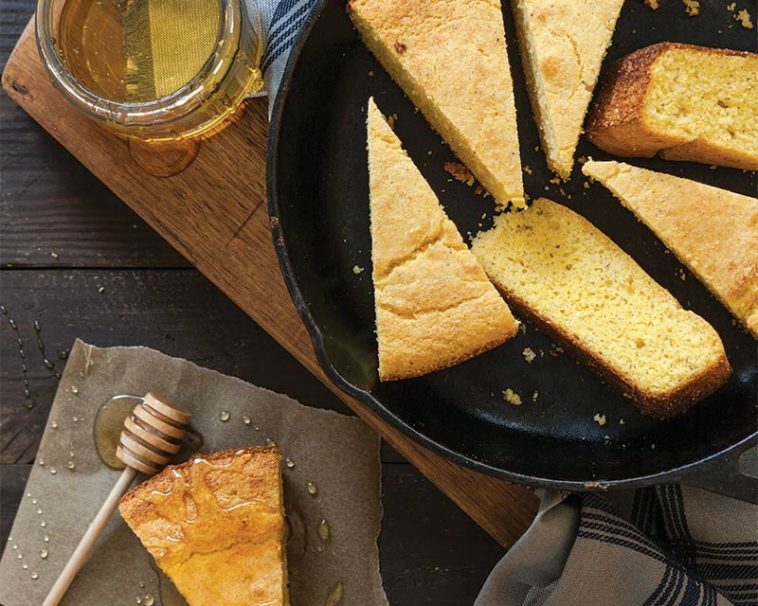 Is there anything more southern than cornbread? I think not and I love collecting all the varieties on the classic. Tried yours here and love it. As for the biscotti that’s something I love and honestly can’t wait to try yours on that first cool fall afternoon. Pumpkin Spice has become the “new classic” for fall around my house. Thank you for giving us new ideas on the old and somethings new. If you look in the right hand column on this page and click on the Pumpkin Spice Biscotti link it will take you to the page with the recipe–scroll down to see it! I too was looking for the Pumpkin Spiced Biscotti. That sounds wonderful and hope it shows up soon. The cornbread sounds good too so I had to pin that. Thank you for the great recipes. Was there a mistake here? I thought your intro was about fall and pumpkin spice.